The online space is changing at a rapid place. From something as minute as a home-based business to cooking to full-fledged governments — everyone is now particular about the kind of image they portray online. About 4.2 Billion of the 7.7 billion world population uses the Internet and there cannot be enough emphasis on how integral social media, along with other Internet tools, has become for businesses. 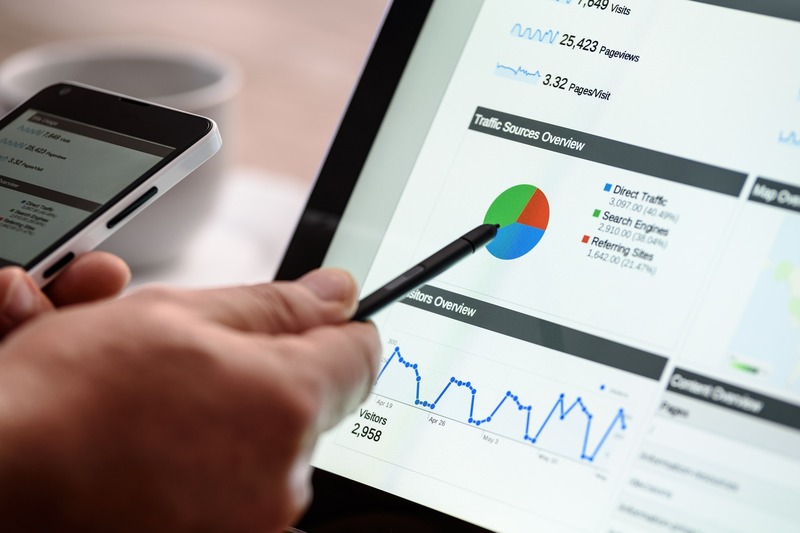 With all that talk about the Internet, another thing that has taken the world and especially the marketing world by storm is search engine optimization (SEO). The practice is used to make sure that certain links are available much easily than the others. Having said that, SEO is also something that keeps changing with time and needs special attention from brand owners to remain ahead. It is not a one-time solution it constantly needs to be fed! Search Engines are extremely clever when it comes to identifying content. A business needs to be on its toes all the time to make sure all content that goes up for marketing is search engine friendly. 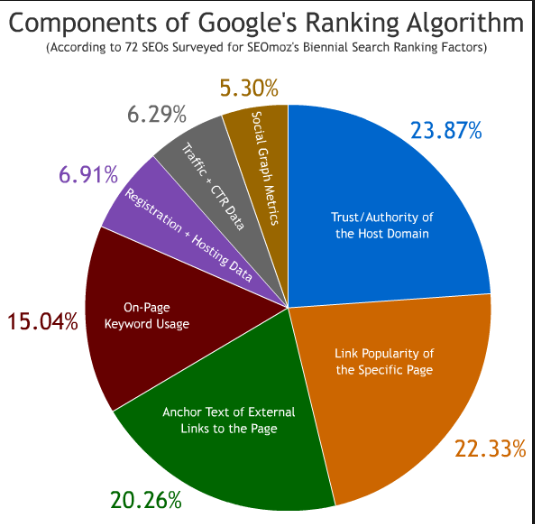 Below are the pie charts for Google’s Ranking Algorithm and how on-page SEO professionals divide their time when devising an SEO strategy for the client. 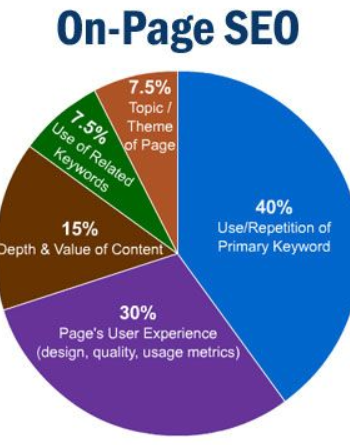 As depicted in the chart above, authority of the host domain comprises 23.87%, implying that relevance of the content is of paramount importance in any content strategy. Your content needs to be consistent. One cannot put up all the content at once and take a backseat — add more to gain more. The more content you have the more optimization you can do and hence you can achieve better profits! 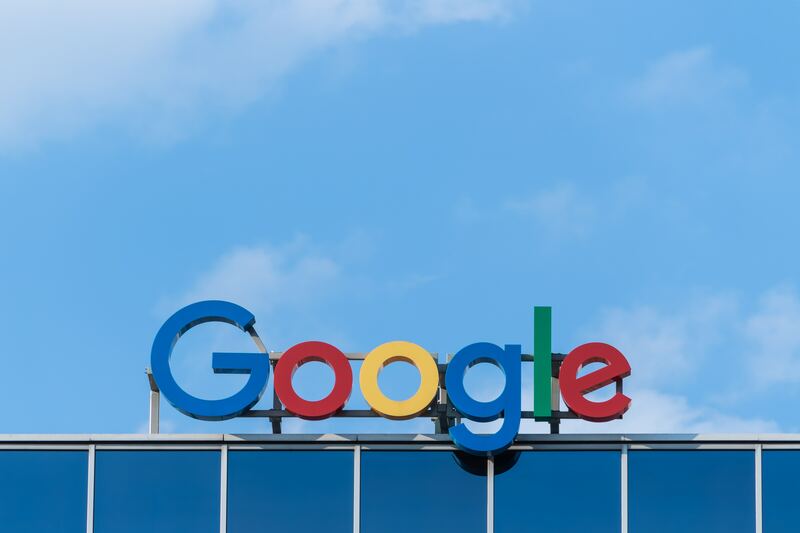 Over 75 % of the Internet-using population doesn’t even bother going on to the second page of a google search. This very seriously reflects on the kind of SEO Services you might want to use for your marketing initiatives. Today digital marketers have to work on their brand effortlessly to create the possibility of an online makeover for better profits and market share. There were times where print media was the go-to option for all marketers, however, with the recent changes in audience preferences and technology, most of the focus has shifted to digital media. People no longer have the time to read a newspaper or spend hours going through magazines. There has been a major shift with smartphones, laptops and other computing devices. Experts believe that by the year 2020, smartphone users alone will total up to 2.87 Billion—so one can easily gauge the need for better content in the future. Advertisers associated with digital marketing need to step up their game and make sure that their content is available on these platforms. While a certain segment of the society is still holding on to print, the majority of the world would much rather skim through advertisements and marketing content on handheld devices. Here we talk about revamping or giving more attention to trends online instead of trends that are making it to the papers. Digital marketers need to be aware of the fact that these trends change often and need to be dealt with accordingly. The bottom line here is: to capitalize on technology and explore the true potential of digital marketing. Internet today is no longer a phenomenon it has become a lifestyle. A significant amount of the world population uses it, which gives them access to reviews on goods and services right there and then. This is one thing traditional mediums of marketing did not provide the professionals with. It was almost unmanageable for businesses to keep a track of the kind of responses and feedbacks that clients and customers had to offer. Back in the day, these responses would either require specific research teams along with detailed formal questionnaires that barely saw any honesty. However, with the digital age taking over, these reviews can be posted with the click of a button and reach the businesses right away. For starters, these reviews could provide you with a clear vision on who your target audience is along with what is being liked more. After knowing what is selling, more variations of the same product or service can be made available by digital marketers. The marketers and businessmen can control the feedback by trying to retain customers with good customer support on these platforms. This is almost a costless form of marketing that will not only save your marketing budget, allowing you to earn more profits, but will also create opportunities to boost sales in the future. 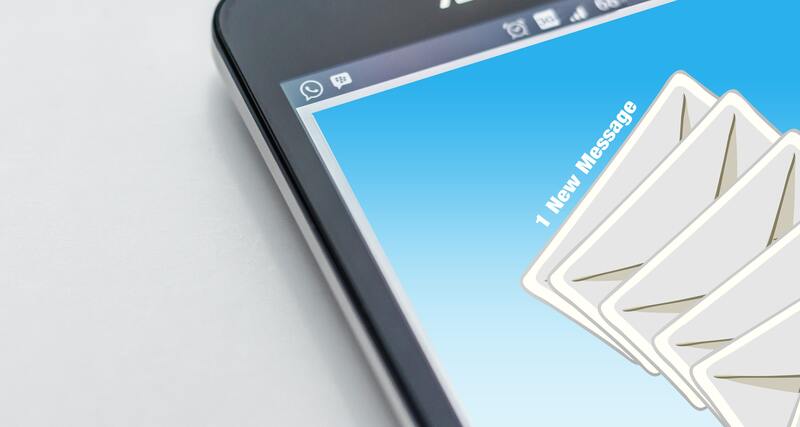 Almost a whopping 60 percent of B2B marketers believe that e-mail is the most effective channel for generating revenue online — It is a huge number that tells a story on its own. The Internet population is rising and for anyone to be able to do anything on the Internet, an e-mail is more or less a prerequisite. The e-mail ids of potential leads are no less than a lottery ticket for marketers. As mentioned in the article earlier, people are now short on time and have a very little attention span owing to the variety of data available to them. For these people, who now make the majority customers, marketers need to play smart and up their online game. People do not stick around on websites anymore. They flip through and this is where the job of the digital marketer and content team comes in. These teams and marketers need to make sure that the person remains engaged on the webpage. These engagement activities could be anything from offering discounts or special packages for signing up with e-mail or simply letting an individual subscribe to the content for additional discounts with their e-mail accounts. E-mail correspondence gives the marketer an advantage and some control over the customer. Pro Tip: Tuesday is the best day to send out marketing e-mails. This article has repeatedly talked about how people do not have enough time and attention and that is the factor that comes up here again. Over the course of time, humans have developed very strong audio-visual skills and would much rather watch a video than read researches or articles. Videos take up less time to watch and can give a unique persona to the brand. Marketing experts need to provide their brands with the much-needed push for their products to reach the masses. The medium of content can make or break a brand and it is extremely important for marketers to keep themselves up to date and allow a makeover every now and then for the desired results. The point here from our end remains that video sells a lot more than written content does right now and if there are brands that are struggling to enter a certain segment of society they can and they absolutely should opt for audio-visual content. This might just be the boost that they need for their brand.